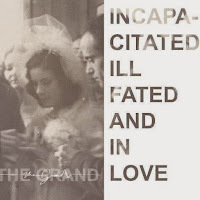 Wakefield's The Grand release their debut album Incapacitated, Ill-Fated and In Love ahead of their launch show at Player's Bar in their hometown on Sunday. It's a record full of ambition, a record that demands your time and attention and that gives you something new on every listen. Opening track of the album Romance Is Dead sets the tone for the rest of the record with its big opening, bold calling card and the widescreen arrangements that set The Grand's aims high. They are aiming for big crowds and big halls with their songs and on their debut album they repeatedly hit the target. It's the attention to detail on tracks like A City That Loves Me when the guitar breakdown shifts into brass and then back to guitar and the subtle female backing vocals that glide almost unnoticed under the surface of the final chorus that make this album different, but which also require the listener to invest time in it to fully appreciate it. I Don't Want You To Make Me Happy is unashamedly brash and in your face. The Grand are not afraid to trade in big rock statements throughout the album and this is probably the prime example of it. Lead singer Russ has a big wholesome voice that isn't afraid to fill out the spaces in the songs and whilst at times it dances a fine line between honest and heartfelt and striving for the big sound that the likes of U2 and Coldplay have achieved at the cost of intimacy, The Grand always come down on the right side of that line. Regular readers of this blog will recognise Don't You Hate It When I'm Right, a song we tipped for Shell Zenner's show on Amazing Radio recently. It takes the pace of the album down and it's a welcome pause for breath and confirmation that there's more to The Grand than the big, strident anthems that have preceded it. It has hints and shades of REM's and The National's more reflective (and in our opinion, best) moments. That more reflective side is continued in Hurt Me and Why Don't You Wait, which contains the lyric that gives the album its title, when The Grand start to show the diversity in their sound that so many bands often forget to demonstrate in their rush to put their ten best songs on their debut album. It's an album that's been four years in the making and it shows in the care and attention that's been paid to detail. The album comes to a close with a trio of songs starting with I Got It Wrong ("out of my hands, over my head, on heavenly wires") which turn back towards the more anthemic style of the album's opening without taking it to excess. Eating Out Of His Hands builds to an increasing frenetic ending before it surprises you by dropping down to a more melancholy finale and the last track Evening Fell The Curtains Close revels in the relative sparsity of the arrangement that builds the tension and its slightly menacing undertone. Incapacitated an album full of big ideas but with a thoughtful attention to detail that means you won't get everything that's in it on first listen. It's a record that's bound to get them compared to the early works of The National as like so many great records, it's not easy listening, it reveals more every time that you listen to it and the more you focus on it. 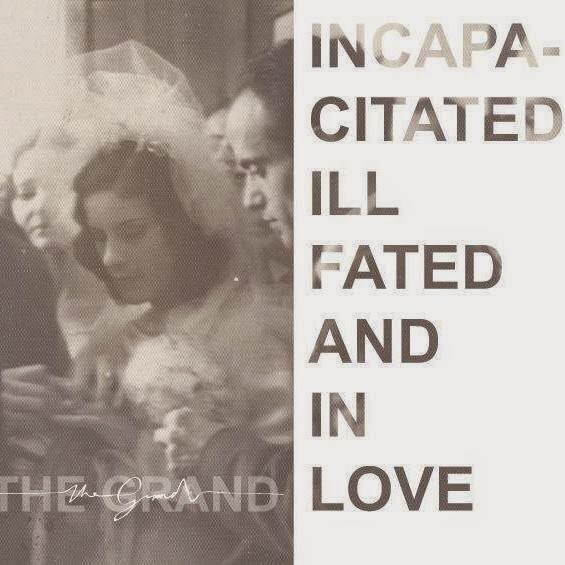 The Grand can be found on Bandcamp where you can buy the album, Facebook and Twitter.